These story cards come with 5 picture cards and 1 story card per short story. Made to print, laminate, and cut apart! These story cards are modeled after "Story Champs", which targets the essential story grammar elements (character, setting, problem, feeling, plan, action, solution, end feeling) used in story retelling. 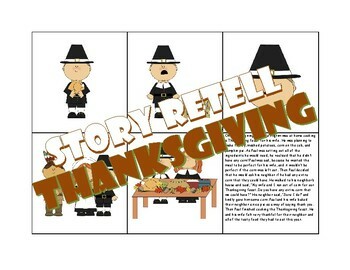 Enjoy these two Thanksgiving themed stories!